A former executive and board member of major retail brands like the Gap, Brooks Brothers and Loehmann’s is getting into the homebuilding business. 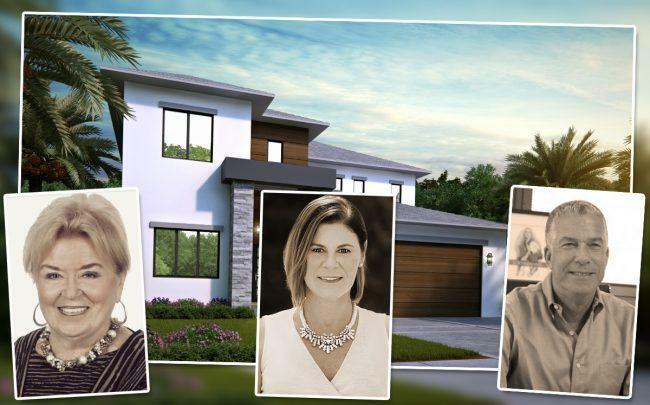 Steven Newman, who was featured on CBS’ “Undercover Boss” while he was CEO of Loehmann’s, is launching sales of Eden Ridge, a group of eight luxury homes in Boynton Beach, with his partners, builder Aldo J. Kosuch and architect Gary Eliopoulos, The Real Deal has learned. Newman said that while he’s bought and sold his own homes over the years, the project marks his first development. Eden Ridge, at 3479 South Seacrest Boulevard, will have eight homes with models that are 3,575 square feet, 3,825 square feet and 4,130 square feet. Preconstruction prices range from just under $1 million to $1.49 million, Newman said. Maureen Murtaugh and Cheran Merak of Douglas Elliman are handling sales and marketing out of Elliman’s Delray Beach office. “$1 million goes a lot further with us than in Delray Beach,” Newman said. The homes will be built next to a 54-acre nature preserve. They’ll include 10-foot ceilings, recessed lighting, marble, porcelain or wood floors, master suites and kitchen packages. Newman said Boynton Beach is the next trendy neighborhood in the Boca Raton and Delray Beach area, with more than $350 million being invested in the city’s downtown. Property records show Eden Ridge LLC paid $1.1 million for the 2.8-acre site in May 2017. Newman plans to break ground on two spec homes at the project in the summer, while the developers begin building the street and installing infrastructure.